Koe needed a difficult double with his final shot in the 10th end to score two for the victory. He and his team - third B.J. Neufeld, second Colton Flasch, lead Ben Hebert, alternate Ted Appelman and coach John Dunn - jumped for joy while Wild Card third Darren Moulding slumped over his broom after unsuccessfully trying to sweep Koe's rock away in a vain attempt to keep it from being the winning point. "This is up there for those reasons, but a first-year team, a dramatic fashion like that. I didn't know if we'd made it. I was waiting for them to hopefully start jumping around," said Koe as everyone celebrated on the ice at Westoba Place. "To win like that only gives our team confidence going forward in close games and in tight situations. We played a great game, but Brendan, he just never goes away. We had him in trouble in [the ninth end] and there was just so many shots he had to be perfect and he was. 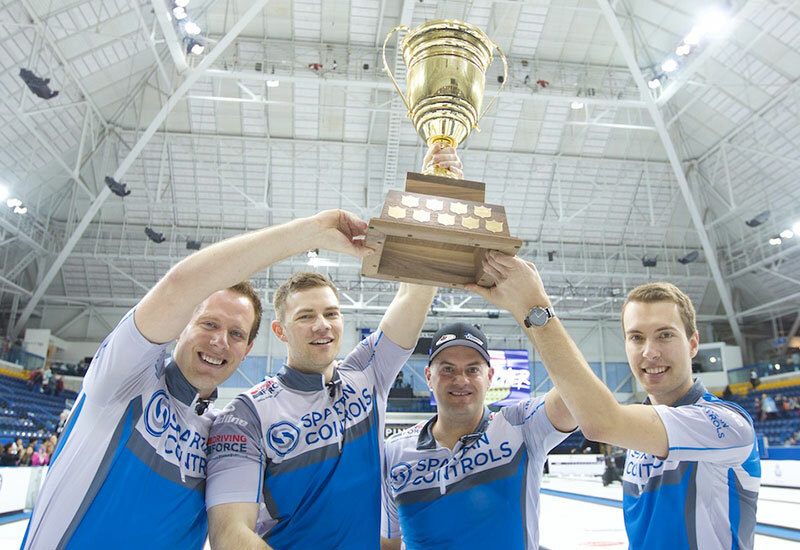 It's not a surprise, he's a hell of a curler and we're fortunate to come out on top." Koe advances to the 2019 Pioneer Hi-Bred World Men's Curling Championship in Lethbridge, Alta., March 30 - April 7. 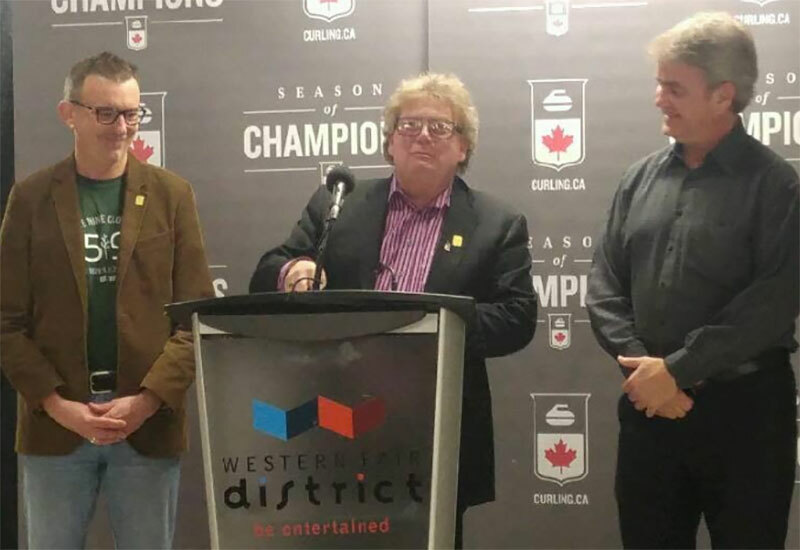 The team will also represent North America in the World Financial Group Continental Cup next season and be Team Canada at the 2020 Tim Hortons Brier in Kingston, Ont. It was the first title for Neufeld - whose father Chris won the 1992 Brier Tankard playing for Manitoba's Vic Peters - and for Flasch and Appelman. "It's awesome, especially a nail-biter like that. 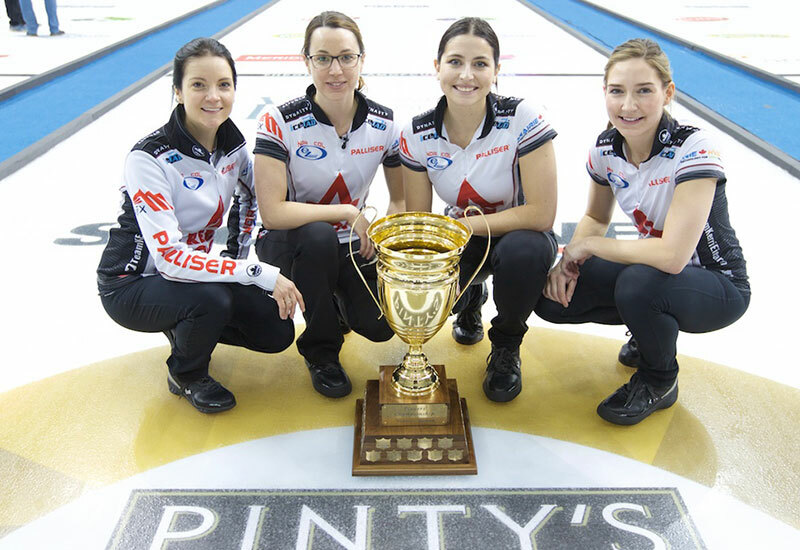 I'm happy for a few reasons, obviously, for winning a Brier for B.J. and Colton. You never know when you get to do that, and they'll be Brier champs forever. Getting the chance to represent Canada in Canada, I've never been able to do that. 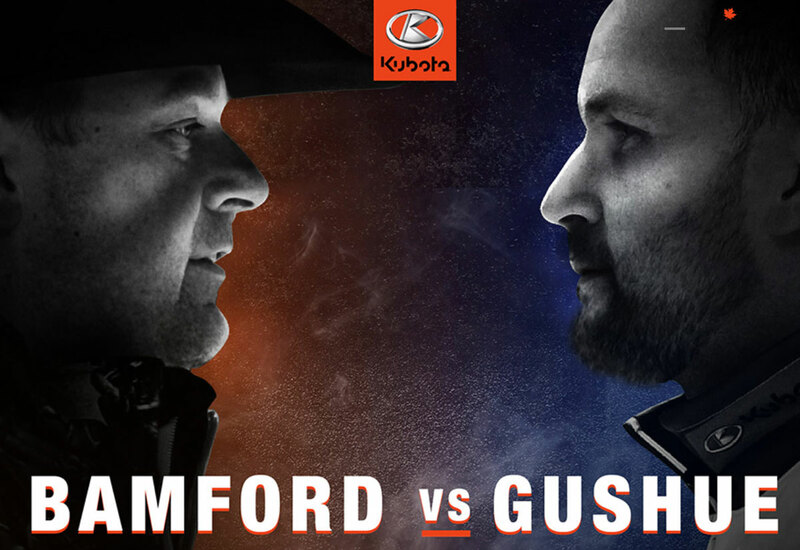 I can't wait, just down the road from Calgary," said Koe, whose outstanding shotmaking in the clutch earned him the Hec Gervais Most Valuable Player Award. Neufeld and Flasch joined the team after the departure of long-time third Marc Kennedy and second Brent Laing last off-season. "It's super special," said Neufeld with moist eyes. "I haven't had a chance to look at my dad's name on the trophy yet, but I'm really looking forward to doing that and sharing this with him. He's my inspiration to get into this game, and he drives me to be as good as I can be as a person and as an athlete. It's pretty special." Neufeld played 11 seasons with Mike McEwen, Matt Wozniak and his brother Denni Neufeld before breaking up last summer. "We went through a lot of heartache on our team there, and it's just so nice to be on this end of the spectrum as opposed to having to watch another team celebrate right in front of me," said Neufeld. Koe becomes the fourth skip to win the Brier four times having previously won in 2010, '14 and '16. Hebert has also won his fourth title; two with Koe (2016, '19) and two with Kevin Martin (2008, '09). This is Koe's seventh Brier appearance while it was the 11th for Hebert. 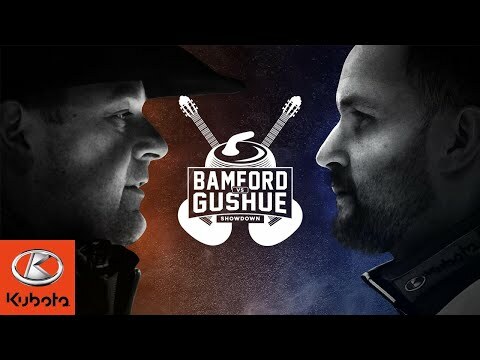 Koe joins Saskatchewan's Ernie Richardson (1959, '60, '62, '63), Randy Ferbey (2001, '02, '03, '05) of Edmonton (who also won two playing third for Pat Ryan) and Edmonton's Martin (1991, '97, 2008, '09) as the only skips to win four titles. "You're watching greatness with him," said Hebert. "He's top three. He's ridiculous. I mean, with what this guy has done with his career, he has one blemish of not winning the Olympic Games. Well, he won the Olympic trials, the hardest event to win. He's won four Briers with four different teams, so who is the common denominator there; You guys can figure that out. But he's amazing, I love curling with him." 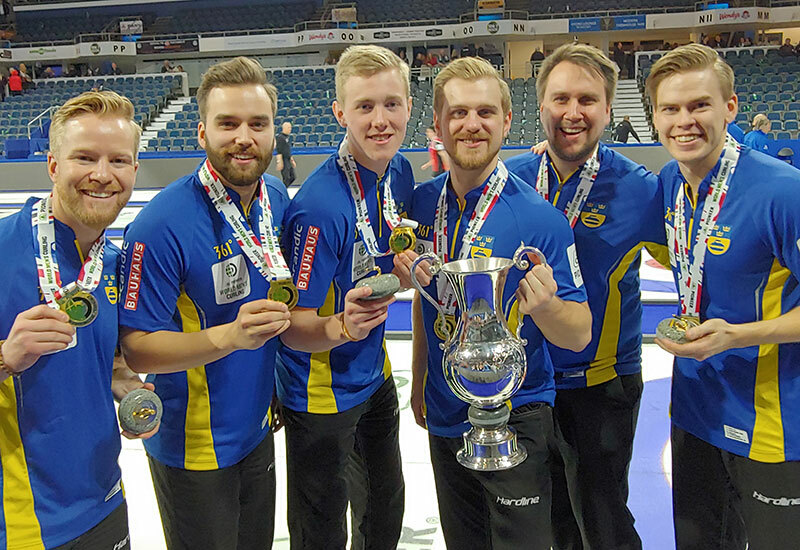 Alberta went 13-0 in winning the championship, the fifth time since the playoffs were introduced a team has gone undefeated to win the Tim Hortons Brier. The previous four were also from Alberta - Pat Ryan in 1988, Ferbey in 2003 and Martin in 2008 and 2009. 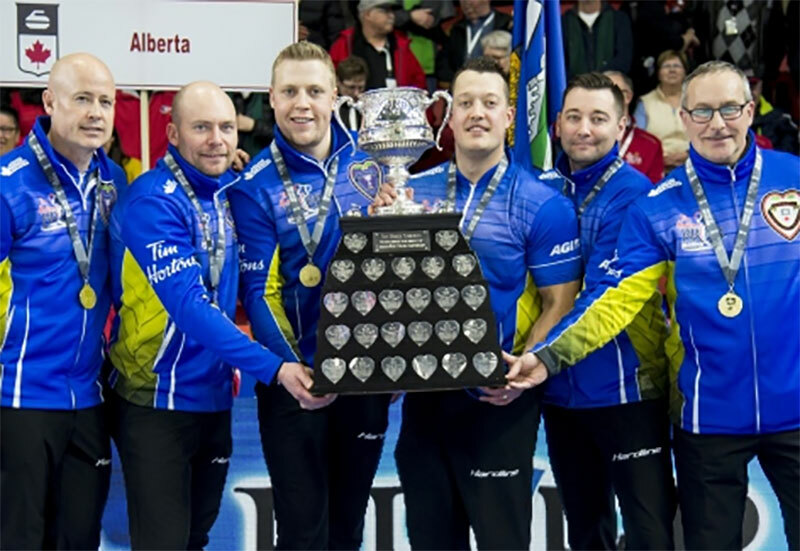 The victory moved Alberta ahead of Manitoba for the most Tim Hortons Brier titles. For Bottcher, Moulding, second Brad Thiessen and lead Karrick Martin (Edmonton) it was back-to-back runner-up finishes having lost the 2018 Tim Hortons Brier in Regina to Team Canada's Brad Gushue. "For sure we think we're going to win this eventually. Losing it two years in a row would be much different than losing it 10 years apart," said Bottcher. "This just cements everything we've been doing for the last couple of years, we're on the right track." There's not much rest for Koe's Calgary crew with the Pioneer Hi-Bred world championship only 18 days away. "We're going to try and go to the worlds in Lethbridge and represent Canada as good as we can, and if we play like this we're going to be in good shape," said Hebert.